The Child Support Guidelines govern child support in Ontario. Child support refers to a monthly amount of support payable by one parent to the other parent for the support of a child (to assist with items such as food, clothing, housing costs, transportation costs, etc. ), as well as add-on expenses known as special or extraordinary expenses, which are either ongoing or one-time expenses that are in addition to the monthly Guideline amount. A non-biological parent who stands in the place of a parent. At Chapman McAlpine Law, we can help you navigate through and resolve these complex child support issues in family law. The child support lawyers at Chapman McAlpine Law can also help you in the area of determining child custody, and special or extraordinary expenses (i.e., add-on expenses). These expenses refer to certain health-related expenses, child care expenses, medical dental insurance premiums, educational expenses, and extracurricular activities. There are tests and conditions to meet for each of these types of expenses to be eligible for contribution from the other parent and in what amount. If you have any questions or concerns relating to child support or special or extraordinary expenses, contact our lawyers today to book a no-obligation consultation. Spousal Support may be referred to as “alimony”. It is a payment from one spouse to the other for that spouse’s own benefit. Spousal support can be made in periodic payments (monthly is the most common) or in a lump sum. Periodic payments ,so long as they are in a proper separation agreement or court order, are tax deductible for the payer and taxable income for the recipient. There are four issues in spousal support that need to be determined: entitlement, quantum, commencement date and duration. Any order, agreements or arrangements already in place about spousal support. Unlike, child support, the amount of spousal support one spouse may have to pay to the other is not straight forward and is complex, as is the duration of spousal support. There are Spousal Support Advisory Guidelines which can help produce a range of outcomes but these Guidelines have not been made into law. While Courts do take these Guidelines into account they are not bound by them. The commencement or start date for spousal support is also governed by complex legal principles especially if someone has delayed in pursuing their rights. Further, agreements regarding spousal support should take into account any reviews, future changes, unemployment, retirement, and other factors. Spousal support is a complex area of family law. It is important to receive independent legal advice about spousal support as soon as possible after separation or even before separation. 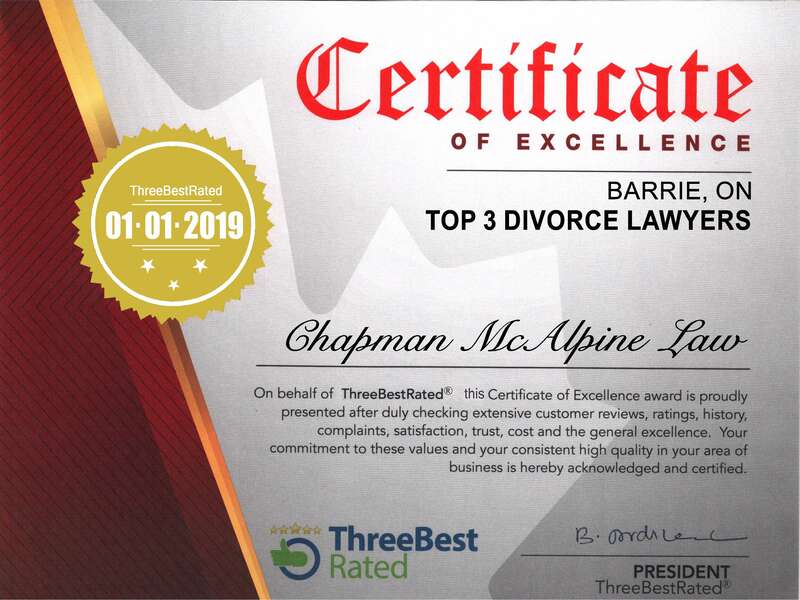 The lawyers at Chapman McAlpine Law will ensure that you understand your spousal support rights and obligations. If you have any questions or concerns regarding spousal support please contact our office today to book a no-obligation consultation with one of our lawyers.